Airline's fly-now-pay-later scheme which wants to bring luxury to the masses. - GlobeFarers | Travel Tips & Tour Bookings. Every one loves the finer things of life. I do too. Everyone does. We want trips to Dubai for shopping sprees, or vacations to the UK. But not everyone has access to this finer things of life. The Telegraph recently posted about this airline that is making life easier. Etihad has introduced payment plans for its flights allowing passengers to spread the cost of a ticket [£200] a month over five years. It is currently only available to travellers from the United Arab Emirates, Saudi Arabia and Egypt. The airline, which ranked eighth in the world in the latest Skytrax awards, announced that it wanted to give its customers the opportunity to pay in monthly installments. 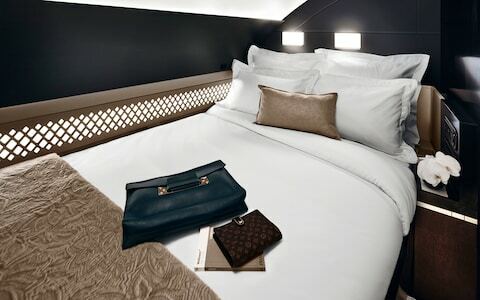 “When we were designing this product we were really looking at how we can assist those low to medium income travellers and families, but of course, spreading the payment over a period of months is also a great way to indulge in Etihad Airways’ famous premium cabins,” he said. Etihad, the UAE’s flag carrier and second largest behind Emirates, is entirely owned by the Government of Abu Dhabi, and has its base in the city. It flies direct between Abu Dhabi and London Heathrow, Manchester and Edinburgh, as well as Dublin. Etihad says London to Abu Dhabi return is available from £359 in economy or £2,204 in business, while further destinations are available connecting through the UAE hub. The airline, which sponsors Manchester City football club, is the first in the region to offer credit on its flights. Australian low-cost carrier Jetstar also introduced a similar scheme earlier last month. It is not clear whether the Etihad programme, available through 17 participating banks, charges interest on any flight finance plan. What are your thoughts on this new initiative?